Economize! $14.00 escolhendo essa opção agora. 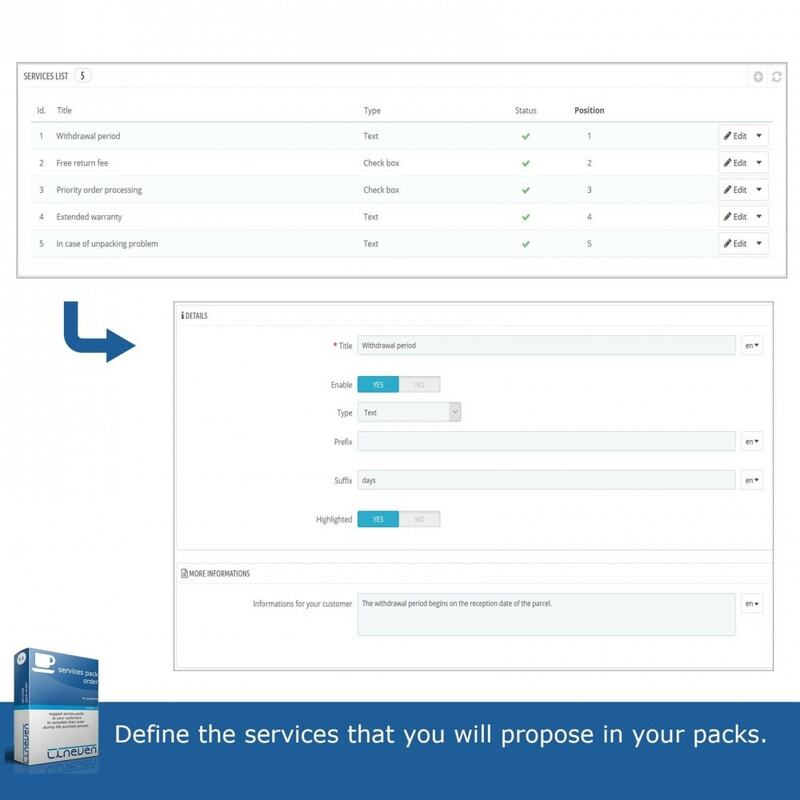 Suggest service packs to your customers to complete their order during the order process (extended withdrawal period, warranty period, free return, etc.). 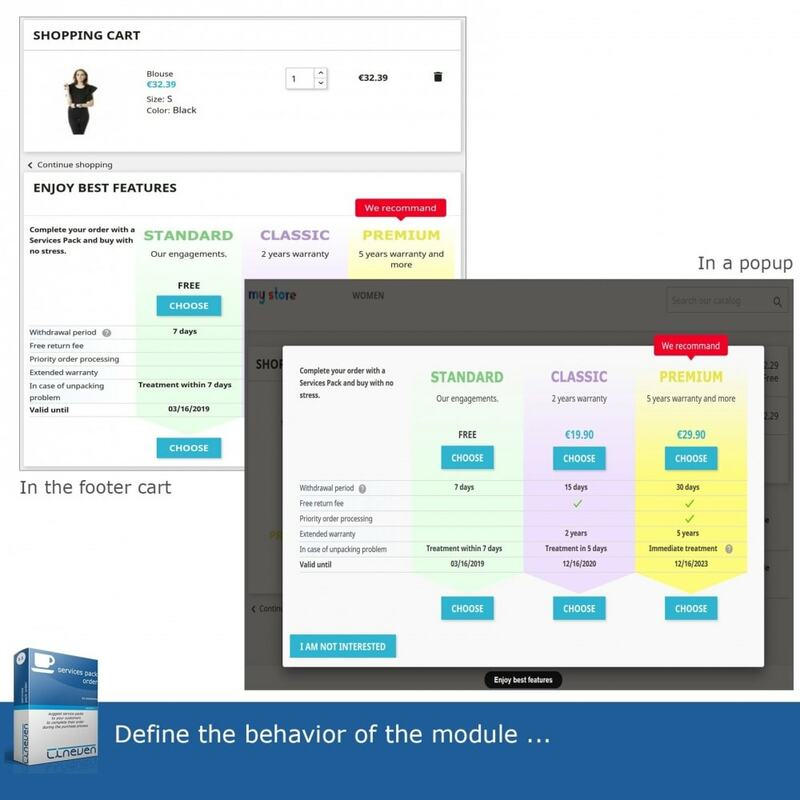 This simple implementation module will allow you to increase your sales by offering service packs to your customers during the order process. 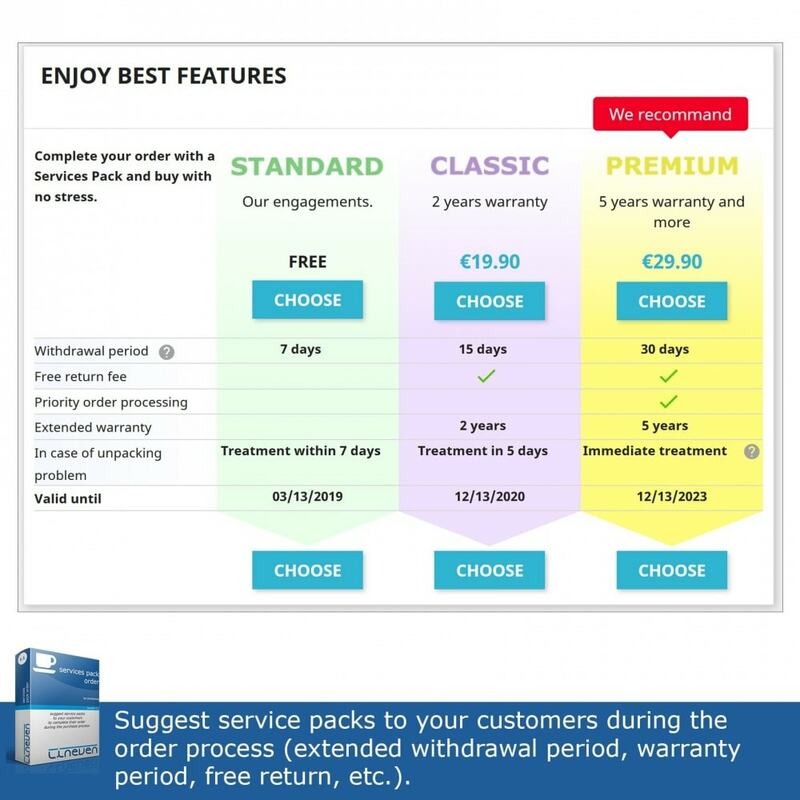 Reassure your customers with the additional services you bring (warranty extension, free return, etc ...). You are completely free of the definition and the conditions of the services composing the packs. Obviously, you undertake to honor your commitments to customers who have subscribed to additional services. You are totally free to define the services you want. 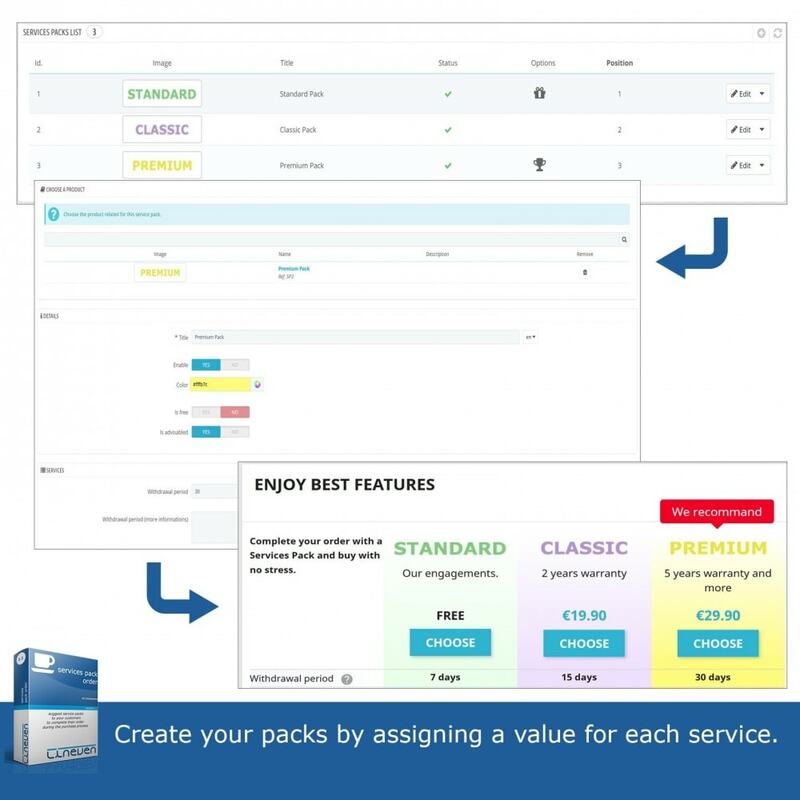 In a second step, you will create each pack that you want to propose to your customers. Reassure the customers that your store is trustworthy by displaying necessary information like payment security, hassle-free returns, authentic products etc in a highly responsive advance reassurance block. 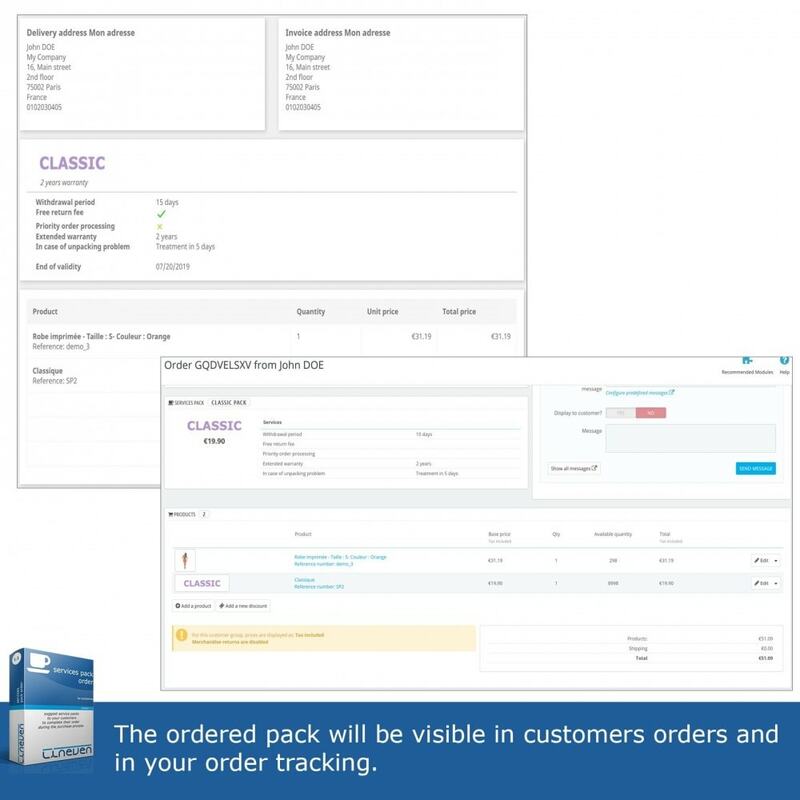 Reassure your customers by offering them services during the ordering process. 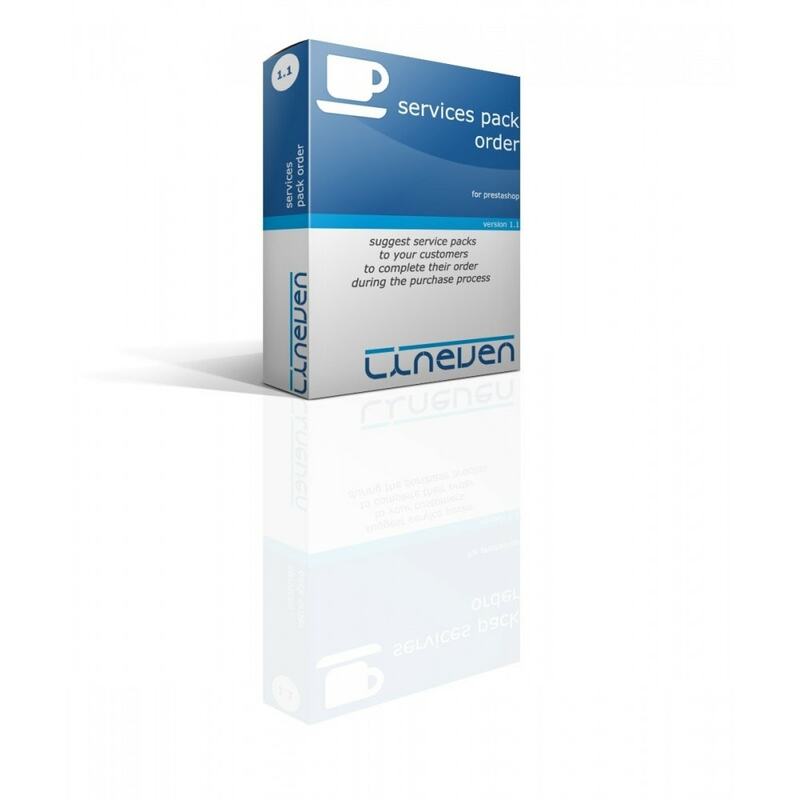 You agree to respect your commitments to your customers who have subscribed to the packs and the services that you propose through these packs. PHP 7.2 : Fix bug with PHP 7.2. Responsive : Fix bug when popup displayed. Cart updating : services packs where not managed correctly when product quantity change (Prestashop 1.6).